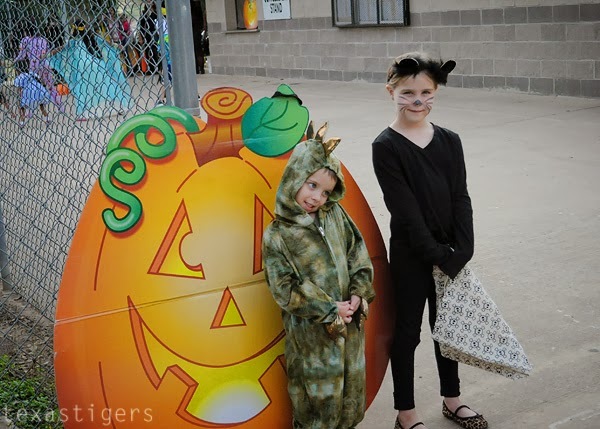 We headed into the baseball/concession stand area with our black jaguar, dinosaur and peacock and Abby saw the big pumpkin and asked to have their picture taken in front of it. Lexie was still a little confused as to what was going on at this point but somewhat cooperated for the picture. 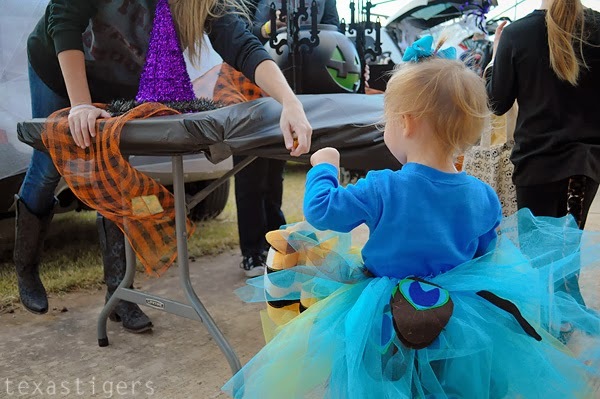 Once we got to the trunk or treat area the kids were ready to take off! Well the big two anyway who knew what to do. Lexie followed behind and figured out what to do. She's a little shy around anyone she doesn't know very well so this wasn't in her comfort zone but candy is a powerful incentive for her. 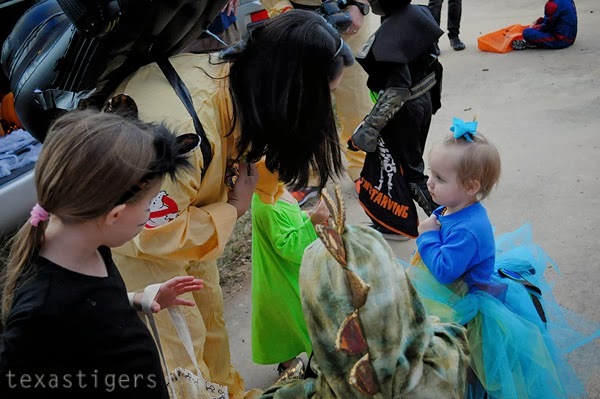 She also had to look in her bag and try to eat every candy she got for the first three table/trunks before she would just leave it in the bag and continue on. 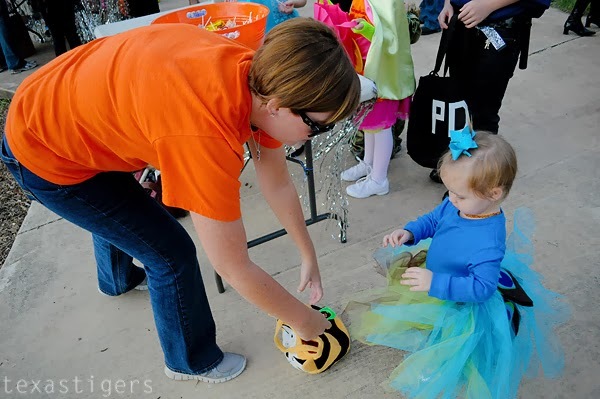 After a few tables she got the hang of holding out her bag for the candy to be dropped in and she was a very happy girl! By this point Abby and Micah were getting tired of waiting for Lexie after her stopping to check the bag at every table so they were continuing faster than she was. 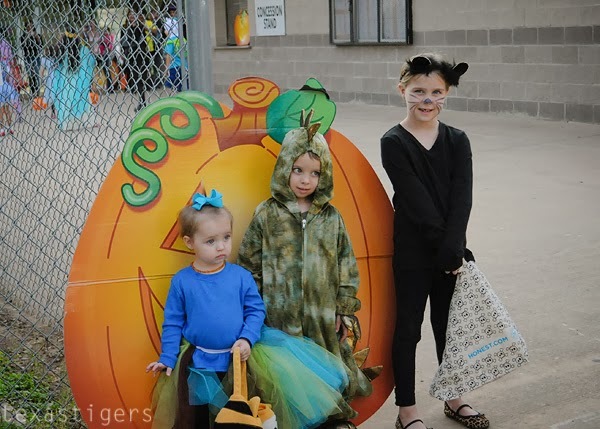 Are your littles ready for Halloween? 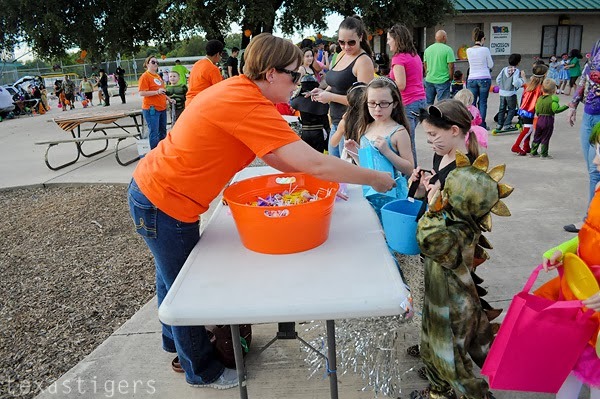 Did you attend any events over the weekend or is it all just on Halloween night for ya'll? Fun! And your little ones are CUTE! Love the view of Micah's costume from the side so all those Dino spikes are visible.